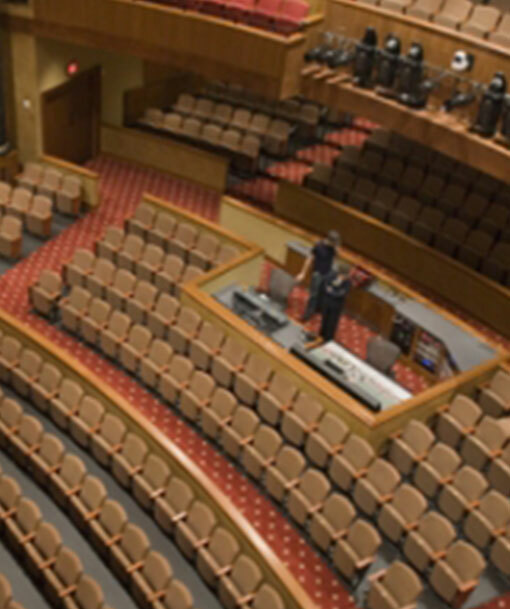 The Dozier Centre features 85,000-square-feet performance space with a 650-seat concert hall/theatre, three dance studios, a Black Box theatre, twelve classrooms with AV systems, a video production studio, and two audio production studios. CTG was selected to provide technology upgrades and enhance the arts experience. Manufacturer partners included Crestron, NEXO GEO, Line Arrat, EAW, Radia, BSS, Cameo, Sanyo, Stewart, and Sony.